High-strength sheet metal materials are hardly formed by conventional single-point incremental forming; the formed parts produced using this process exhibit decreased geometrical accuracy and low formability values. In the present study, a new process is investigated for hot single-point incremental forming. The method was simplified by combining incremental sheet metal forming on the front side of the sheet and induction heating on the backside of the sheet. The process setup was based on elementary tooling; it utilizes synchronized movement of the tool with the inductor. The locally heated zone allows smooth forming of advanced high-strength steels. The appropriate heating rate was controlled by optimizing the correct relationships between the process variables by using DC04 as a reference material for comparison. The process variables affecting the operation have been investigated and are the step size, induction power, and feed rate. This method has been tested and successfully improved. The results show that the formability improved and that the residual stress of DP 980 steel decreased. On the other hand, it was possible to diminish the springback and to increase the geometrical accuracy for 22MnB5 steel. Furthermore, a major reduction of the forming forces was noticed while incremental forming was performed and supported by induction heating. 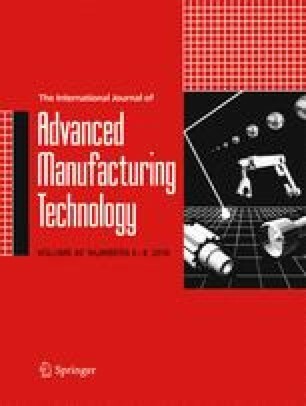 The significant results demonstrated a method to solve the forming problems of high-strength metals by induction heating at forming.